It is a puzzle when we think how can a telescope look over past time? Let us take the example of the Sun. Perhaps it is not a good idea to stare at the sun. So, if we were to go out and catch sight of our beloved star, we could see the last rays of the sun which is of eight minutes previous to be exact. So, in this way we can tell the sun that we are in future as we can say who is going to win the world series and make millions of dollars in solar gambling eight minutes before the sun. But we are too far to know what is happening to our sun right at this second. Here or like at this essay help on Australian observatories, we will be discussing a bit more about the telescope and how do they see through time. In the language of technical science, we know that light travels at the speed of 300,000 km per second and that is how fast it is. When the light is switched on at home, we do not wait for the light to reach us because the distance between us and the source of light is negligible. But on the other hand, the sun is far-far away from us which is approximately 150 million kilometres. So even the rays of the sun must travel quite a lot to reach us. So, we get to know the sun as it was eight minutes back. In other words, if the sun disappeared for eight minutes then we would be blissfully unaware of it. Sun is just so close by. But there are millions of other stars which are many millions of light years away. For example, Alpha Centauri is 4.2 light years away from us. There are many telescopes which have seen through time and have kept a great deal of information for us. One among them is Hubble space telescope which is looking at galaxies hundreds of light years away which also means we are looking at how galaxies were some hundreds of millions of years ago. We could catch a Dinosaur era if our telescopes were powerful enough. So, if want to look at the edge of the universe which is expanding since time immemorial, for billions of years the light has been travelling. In fact, light from our own galaxy has left and has started travelling in the distant galaxies and they are able to see as how our galaxy was some billions of years ago which we could never do. The most distant galaxy ever known was discovered by researchers recently and it is 13 billion light years away and some interesting information was gathered regarding the galaxy formation. Giant Magellan telescope is the biggest earth-based telescope which has planned for the first entry in 2021. When we guise in space, we are not only looking at the distance but also the time back as it was some millions of years ago. So, if we are observing something which is billion light years away it means we are looking at as it was some billions of years ago. Studying the stars, planets, and other celestial bodies would be a difficult task when there is a significant amount of light pollution being emitted. Thankfully, Australia has a controlled amount which allows scientists and researchers to study space with as much freedom and clarity. Various observatories give one an opportunity to look at the night sky from the perspective of the southern hemisphere, and it would be as much of a learning experience as it is an enjoyable and inspiring activity to participate in. Here are some of the best observatories in Australia. Located several kilometres away from the busy urban streets of Sydney, the AAO facilitates the use of the Anglo-Australian and UK Schmidt telescopes. Having once collaborated with the UK, the AAO now fully operates under the Australian government. It works in partnership with universities and agencies like Macquarie University and the Commonwealth Scientific & Industrial-Research Organization to allow students to experience the professional environment in the field of astronomy. Apart from surveying space objects, they also work in crafting instruments that would complement telescopes and make them work more efficiently and accurately. The Siding-Spring Observatory found in Coonabarabran, New South Wales houses one of the telescopes that the AAO operates, the Anglo-Australian Telescope. Situated at about an altitude of 1,100 meters on the observatory, this telescope has the capacity for both optical and infrared imaging. Researchers have made several discoveries of new planets, stars, and exoplanets through the telescope, even observing some of the most distant objects from Earth. The most ideal place for an observatory is somewhere that would have the least amount of disturbance and the Murchison Radio-astronomy Observatory can be found literally in the middle of nowhere, in Western Australia. It is cradled in a designated zone of radio silence, so all you will see are rows of antennae that pick up signals from space. The facility uses two main equipment: the Murchison Widefield Array and the Australian Square Kilometer Array Pathfinder. The CSIRO currently manages the operations of Murchison. Another observatory in possession of a radio telescope. As one enters their grounds, the immediately noticeable feature in a display at the facility is the large radio telescope, given the moniker “The Dish”, because it is like a big satellite dish probing the reaches of space for signs of new celestial objects. It has become well-known for being one of the instruments used to transmit images from the Apollo 11 mission and has been dubbed “the most successful scientific instrument ever built in Australia”. Just outside Hobart in Tasmania, it allows observers to look at a sight to behold, the Magellanic Clouds. However, due to light pollution from nearby suburbs, the observatory has been closed down until the visibility may be restored. Its most commonly used instrument is a 16” telescope used when visitors would like to take a look into space when taking photos, and for official use of Tasmania’s Astronomical Society. Lastly, Mount Pleasant Observatory is one of the three radio-astronomy observatories, along with Murchison and Parkes, located in Cambridge. They possess three radio antennas, two of which are active. One may also find the Grote Reber Museum where they show the role Tasmania plays in radiophysics. They are closely working with the University of Tasmania. 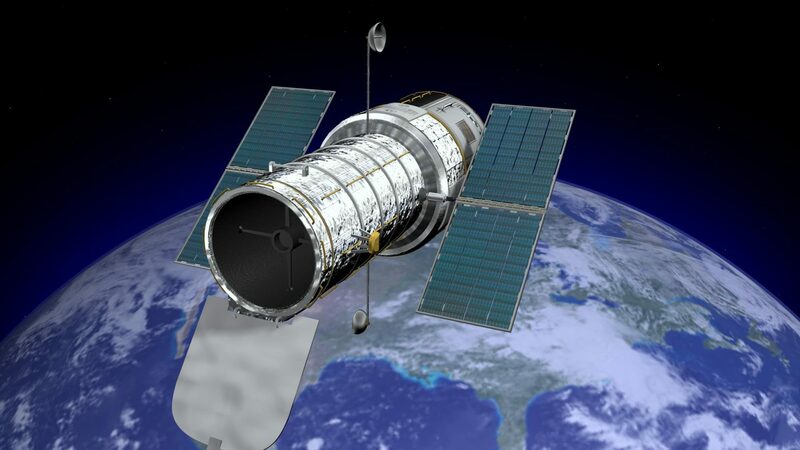 How Do Telescopes Work – Telescope Construction. Construction of telescopes at home isn’t an unimaginable errand that is apparent by the sheer number of individuals willing to endeavor it at home. Taking in the methodology of making a telescope isn’t extremely troublesome if one recognizes what must be done amid construction. In basic words, that implies that one must be clear about the motivation behind the construction, regardless of whether to accomplish same quality from that of telescopes accessible in stores or make one for the sheer bliss and pride of making it. As an initial step, put the greater amplifying focal point on the paper. At the point when the paper is seen through the perspective, the print seems obscured. Presently, put the second, littler focal point with the end goal that it is situated between the greater focal point and the eye. This focal point must be situated with the end goal that the print seems amplified and altered. At this position, the print is in core interest. For consequent advances, you will require the help of someone else. This individual must gauge the separation between the two focal points. The cardboard cylinder should now be cut with the end goal that there is a space in it close to the front end, an inch far from the opening. This opening ought to have the capacity to hold the bigger focal point. A similar separation far from the first cut, as that between the two focal points at first, another little be made. This second space is for holding the littler focal point. When the openings are made, the focal points must be settled into position. The greater focal point is at the front end, while the little one is at the back end. Channel tape ought to be utilized to settle them into place. The littler focal point ought to be about half inch to one inch far from the under end with the goal that the overabundance length of the cylinder can be cut off. When the focal points are set up, the game plan can be checked by review the print saw before. To guarantee that the separation between the focal points is immaculate, slight changes might be required, with the goal that picture is at the correct point of convergence. This strategy is sufficient for developing a basic natively constructed telescope. If you know about the working standard of every component of a telescope, at that point building, one at home is certainly not a tremendously troublesome undertaking. On the off chance that you are not accustomed to it, too you can endeavor to assemble your very own telescope utilizing the strategy simply portrayed. Universe Unoobservable, Proudly powered by WordPress.